New Windows 10 Fall Creators Update Build 16251 is rolling out now and brings with it lots of changes and some great new features, such as the ability to shut down or restart your PC using Cortana voice controls. The standout feature though is cross-device web-browsing that lets you browse the web on an Android phone and then switch to continue browsing the same site on your Windows 10 PC. Here’s how to use it. To get started, all you have to do is go to Settings > Phone and link your device there. This is a security step that means any browsing you do on your phone can only be continued on the PC you’ve selected. 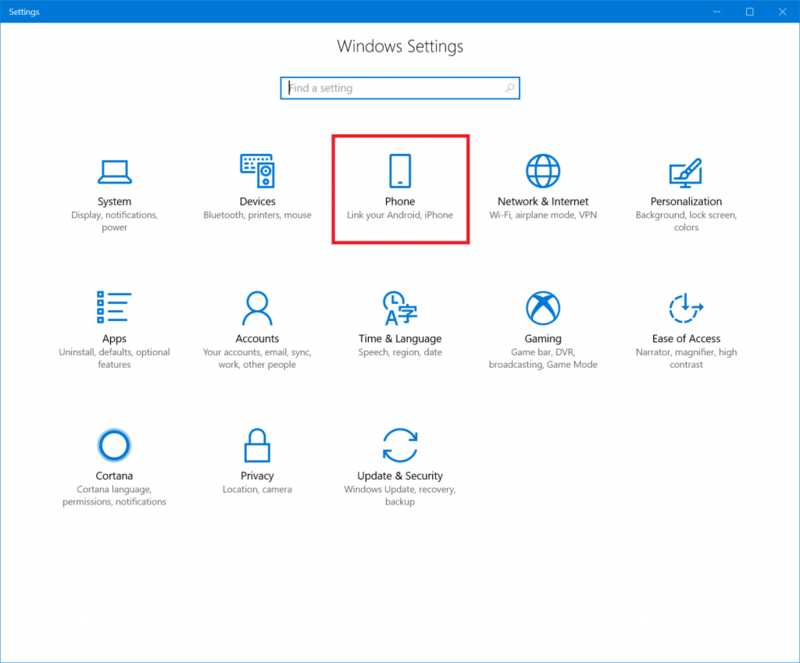 Once you’ve added your phone you’ll receive an SMS message that will allow you to install the required Android app -- "Microsoft Apps" -- needed to complete the process. After you’ve done that, browse the web on your phone and when you’re ready to switch to your PC, open Android’s native share feature and choose to "Continue on PC." Microsoft says you might need to click the "…" (or more) to add this test app to your share menu. You’ll then need to sign in with your Microsoft Account details (this needs to be the same on your phone and PC). You’ll be asked if you want to "Continue now" or "Continue later". If you choose the former, the website will open on the linked PC. If you choose the latter instead, the website will show up under Action Center for you to access at your convenience. If you don’t have an Android phone, don’t worry -- Microsoft says support for iPhone is coming "soon."